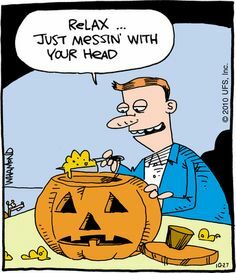 Just thought I would share some Halloween humor. 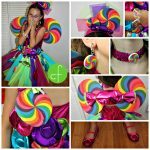 Whether you enjoy the creative and fun holiday or not these humorous meme’s are sure to keep you laughing all night. 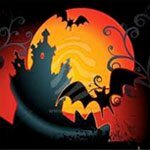 When you are sitting out on your patio with a bowl of candy in hand enjoying the kids and their costumes you can enjoy a laugh as well. 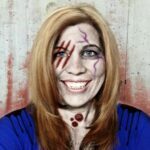 Do you have any great Halloween stories to tell that might get us to laugh? A Halloween joke? 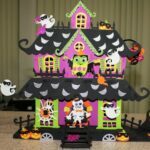 Are you ready for the trick-or-treaters? If you are looking to get into the Halloween spirit try some of our fun Halloween Recipes like these candy corn shooters, or screamiscle. Love it! thanks,Colleen. I needed a laugh. 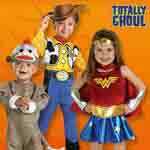 I love Halloween and these were funny, not dark or gross, like some I’ve seen. 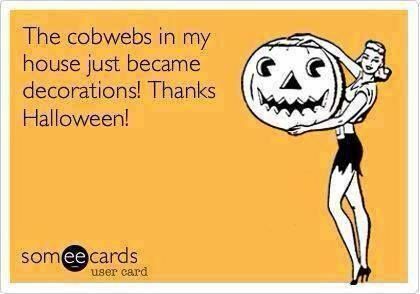 I’ll use the cob web one when my house gets too dirty! This was great – needed a laugh today and you provided it. LOL, I have some cobwebs on my kitchen lights! The one about Walmart is spot on.. This is a nice change of pace thanks for sharing this one it was nice to get a chuckle today. I totally eat my kids’ candies. But that’s only because I’m a good mom. I wouldn’t want them to get cavities, you know? Taking one for the team, lol. Okay these are all perfect! 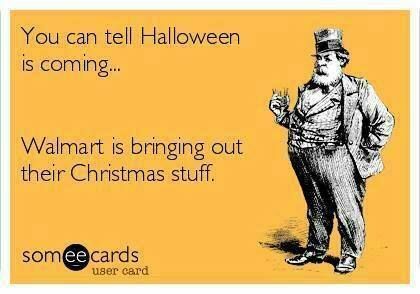 I am guilty of the Christmas one though, I keep catching myself looking at Christmas stuff on Pinterest & it’s not even Halloween yet! LOL! I love those, particularly the pumpkin/turkey one. HAHAHA Love it! I agree our Walmart has Christmas stuff out already ;-)! 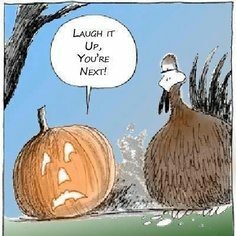 Oh my gosh, the pumpkin talking to the turkey and the smiling jack o lantern at the end are HYSTERICAL! LOL These are great! The first one is so true. I think they may have had it out way before Halloween this year. Love the Walmart one, I groaned as soon as I saw the Christmas Decor out. Blah! Those are hilarious. Thanks for sharing! LOL, these are hilarious! Love the cowebs one. These are so funny! The Walmart one is too true. It’s hard to think about Halloween when their are Christmas decorations everywhere in the store!! LOL I love that first one, our Walmart really already has Christmas stuff out! Thanks! It’s been a long weekend and could definitely use some laughs! I like the last one. So true about Walmart, too! I can’t believe that Hobby Lobby has had Christmas on display since Sept! Who waits until November 1st to eat their kids candy? 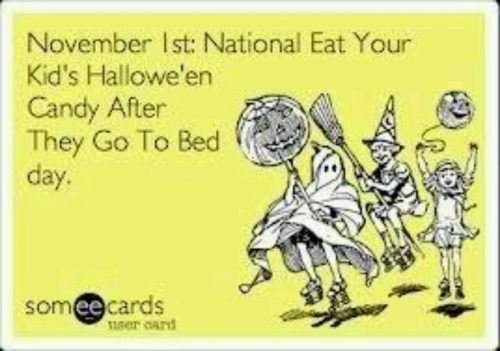 I usually take my kids candy immediately after we come home from trick or treating lol. I really needed some good humor on this dreary windy Monday. The last picture is my favorite! 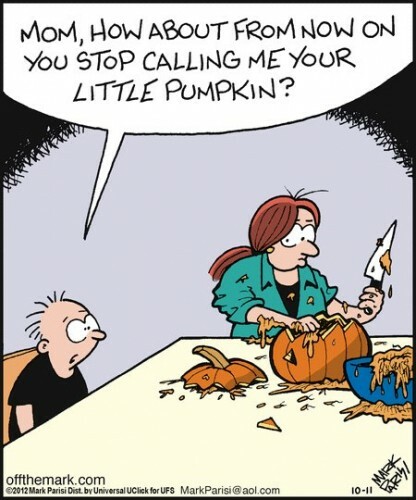 That one about calling him little pumpkin made me totally laugh! The first one is so true! We actually were shopping for a Christmas tree at Lowes the other night LOL.